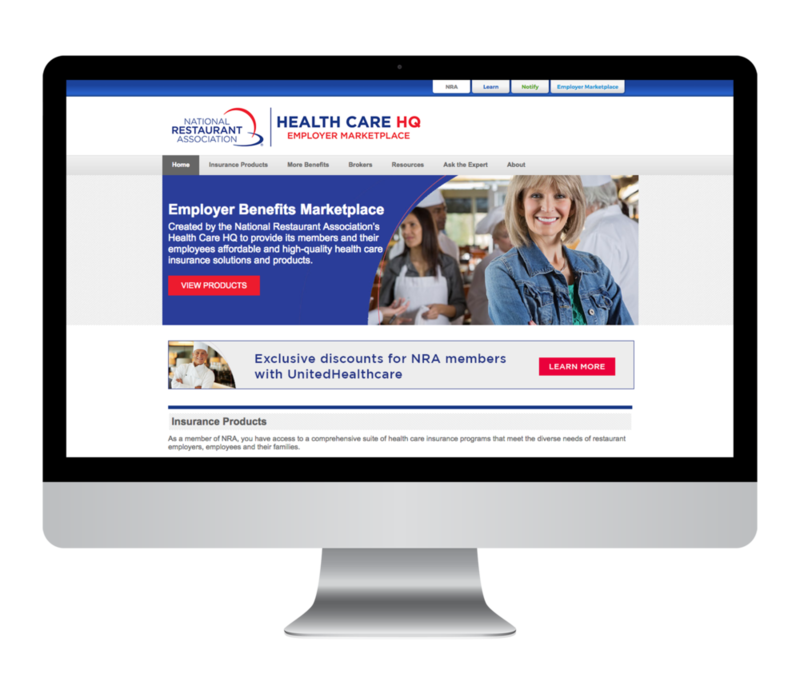 Create an Employer Benefits Marketplace to provide information on the products available to employers that are a NRA member—with the objective to call a broker for information on how to get started. Identified all products and placed them into categories for easy navigation—insurance products for individuals, small employers, and large employers, in addition to four voluntary benefits. Developed a site map to identify key pages on the website. Provided mockup of the home, insurance product category page, and single product page. Followed NRA’s established guidelines to complement the association’s existing web presence and provide familiarity for visitors. NRA’s main navigation that links all their websites together + standard footer was also implemented on the website. Final website contained 24 pages, 22 of which contained a call to action to contact a broker for additional information.